First let me say the title is referring to my excessive attention to daylilies and not any kind of deviant behavior. So get your mind out of the gutter. 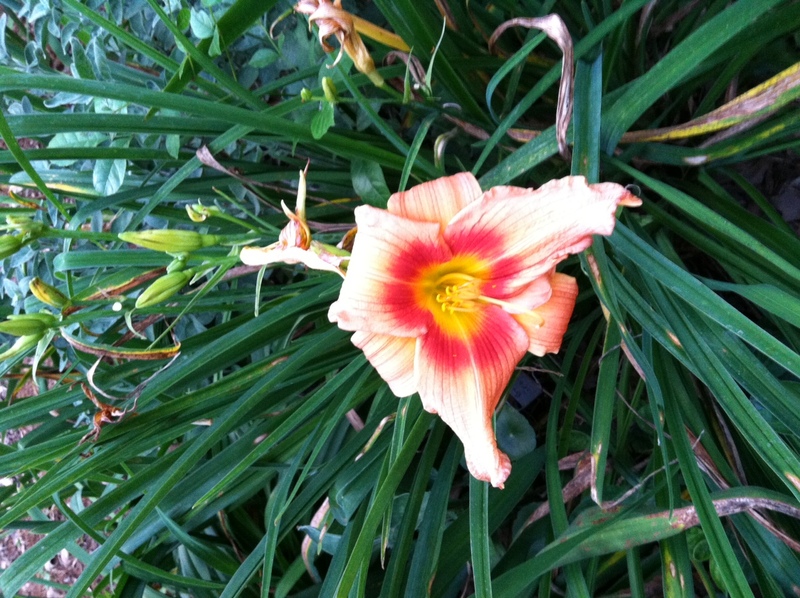 As far back as I can remember, daylilies have caught my attention each summer. Four years ago my wife and I attended a spring garden show where a local daylily society was selling plants they had grown. In a spur of the moment decision I decided a grassy area in our backyard would become a daylily display garden. We picked out few cultivars, rushed home, drug out the tiller and my fetish was exposed. This tradition has repeated each year. 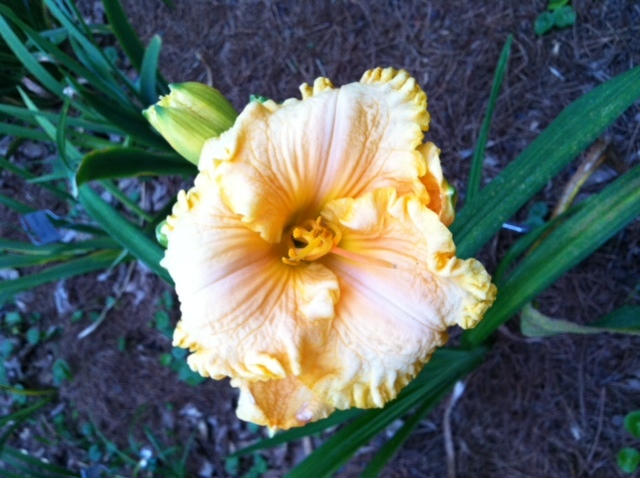 The daylily pictures I have been posting on Twitter and Facebook are patented varieties. We buy a few each year and add them to our backyard garden. They are sold in a bareroot “fan” which is about the size of hand fan people use to fan themselves in church. They sell for anywhere from $5 to $80 per fan. We probably have about 20 different varieties in our backyard garden at this time. These are offspring from old garden varieties that have been hybridized for size and beauty. 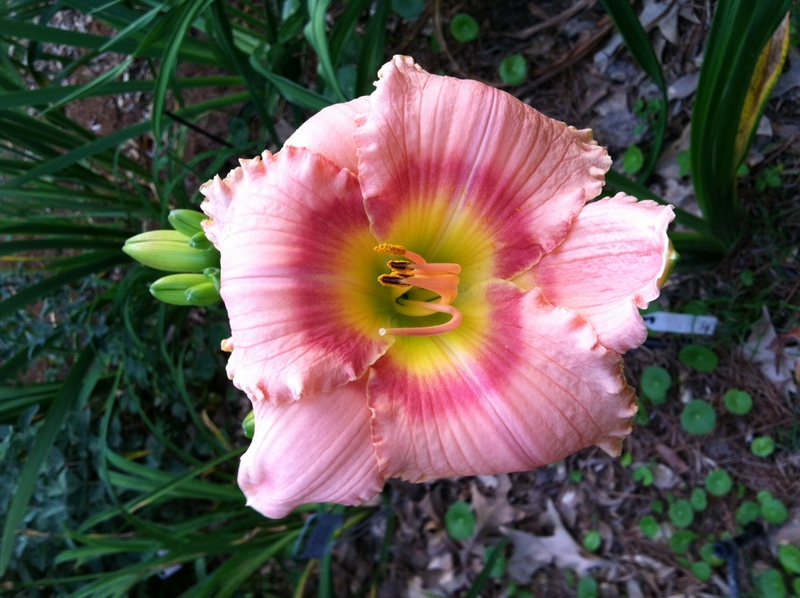 These daylilies typically have a shorter bloom cycle (about a month) than the old garden varieties. For me that drawback is overcome by their beauty. Overall, daylilies are easy to grow. All you need is an area that gets some sun, but the more sunlight the better. Watering and weeding is about the only nurturing they require. 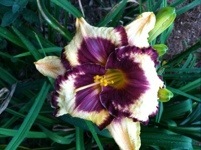 Someone once told me a person with black thumb can successfully grow daylilies. Do you prefer old garden varieties or the more showy hybrids?